We have devoted prior blog entries to the issue of fall down accidents, and what one has to prove in order to successfully litigate this type of accident case. Our entry of April 2, 2018 discussed several different hazardous conditions which can lead to a fall down accident. We are often consulted by accident victims who have fallen as a result of a dangerous condition – snow or ice, or a hole or crack – on an exterior sidewalk. That type of accident has its own set of often confusing, and seemingly contradictory rules. The White Plains personal injury attorneys at Worby Vecchio Edelman have years of experience in this area of the law. Public sidewalks are almost always owned by the particular municipality in which the sidewalk is situated, but the municipality is not always the party responsible to maintain that sidewalk. As one example, New York City requires a property owner to maintain the sidewalk which abuts that property in a reasonably safe condition. The law states that such maintenance “shall include, but not be limited to, the negligent failure to install, construct, reconstruct, repave, repair or replace defective sidewalk flags and the negligent failure to remove snow, ice, dirt or other material from the sidewalk”. However, the law does not apply to one, two or three family residential properties which are wholly or even partially owner occupied, and used exclusively for residential purposes. Pursuant to this law, a property owner is required to maintain the sidewalk in obvious and not so obvious ways. The obvious is that snow and ice must be removed in a timely manner. 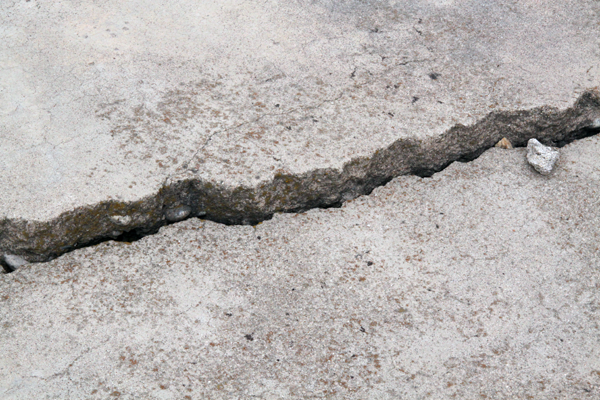 The less obvious effect of this law is that a property owner is required to repair a cracked sidewalk, or an un-level sidewalk, at their own expense. The basic requirements of proof in a fall down case are still present – you have to prove that the owner of the property either created the condition, or knew or should have known of the condition. The law in Westchester County in not nearly as simple, because there are so many different municipalities, each with its own Town, Village or City Code. Most of these municipalities do require the homeowner (without the New York City exception for the owners of one, two or three family residential properties) to maintain the property. However, a crucial difference is that many of these statutes do not grant a right of action to someone who is injured as a result of a property owner’s failure to properly maintain the sidewalk. That means that even if a property owner fails to comply with a law that requires that owner to maintain the sidewalk, you cannot sue that owner to compensate you for injuries caused by the owner’s negligent (or even intentional) failure to comply. Some towns and villages in the Westchester County area do permit these types of lawsuits, and the fall down attorneys at Worby Vecchio Edelman have handled many such cases. If a municipal code does not specifically permit a lawsuit, then the only way to make a recovery is sue the municipality itself – but that would require proof that the municipality had Prior Written Notice, which is a very heavy burden to prove. Call the White Plains personal injury attorneys at Worby Vecchio Edelman if you have been injured in a sidewalk fall down accident, or in any type of accident. We handle cases in all the boroughs of New York City and on Long Island too, and in Westchester County as well as Rockland, Orange, Putnam and Dutchess Counties. We are well versed in the difference between each of Westchester County’s dozen of separate towns, villages and cities, and the various requirements for bringing lawsuits in these municipalities. We’ll promptly answer your questions, and we’ll make sure you understand all of your rights. You’ve already suffered an injury. Let us handle the legal details. We offer a free, no-obligation consultation, and we don’t charge a fee unless we recover money on your case.